If someone wants a peek into part of Bharatiya Janata Party's (BJP) strategy for 2019, then perhaps September 14 is the defining day. While Yogi Adityanath government in Uttar Pradesh decided to release Dalit leader and Bhim Army chief Chandrashekhar Azad ‘Ravan’ after withdrawing the case under National Security Act (NSA) against him, Prime Minister Narendra Modi visited the Saifee mosque in Indore to attend the Ashara Mubaraka, an annual gathering of Dawoodi Bohras remember and honour Prophet Mohammad and the martyrdom of his grandson Imam Husayn. 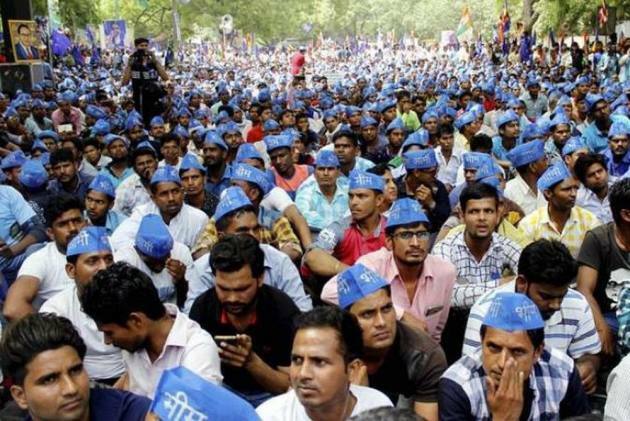 Politically, the release of Chandrashekhar is more significant as the Dalit community has been getting very restive and the anger against the BJP was on the rise. It is part of BJP’s outreach to the Dalits, who constitute more than 25 per cent of the population. The party can’t be seen as inimical to the Dalit interests, especially with Lok Sabha elections next year. Sources say that the decision to release Chandrashekhar was taken at the highest level in the party and conveyed to UP chief minister. The issue was also discussed during the BJP’s two-day national executive recently. “It was based on the constant feedback that the party was getting from the ground about the simmering anger among the Dalits,” reveals a senior BJP leader. Many BJP MPs – the party has maximum number of 40 Dalit MPs – and allies had become publicly critical of anti-Dalit mindset, especially in Yogi’s government. BJP MP Udit Raj had demanded the release of Chandrashekhar saying that he had been adequately punished. Another MP from Bahraich Sadhvi Savitri Phule had said that the rights of the community were under attack like never before. The party was worried that Chandrashekhar issue had the potential of becoming a rallying point for Dalit-Muslim unity. The two had come together earlier in Western UP to deand the release of Bhim Sena chief. BJP leaders say that Modi’s visit to the Dawoodi Bohra event in poll-bound Madhya Pradesh cannot really be seen as an outreach to the Muslim community. However, it is the optics of the PM entering the mosque, hugging the leaders and addressing them that are enduring. Modi himself said at the event that he had old and warm relations with the community. “My relationship with the Bohra community goes way back. I always felt at home with them. Even today the doors are all open for them,” Modi said, talking about the Bohra community in his home state Gujarat. Many villages in Gujarat received drinking water due to their contribution. “The community contributed to development in Gujarat,” he said at the event. PM Modi also praised the Bohras for their honesty in trade and business and remarked that they had set an example for others. He said that the community had always worked for peace and had also once worked with Mahatma Gandhi.